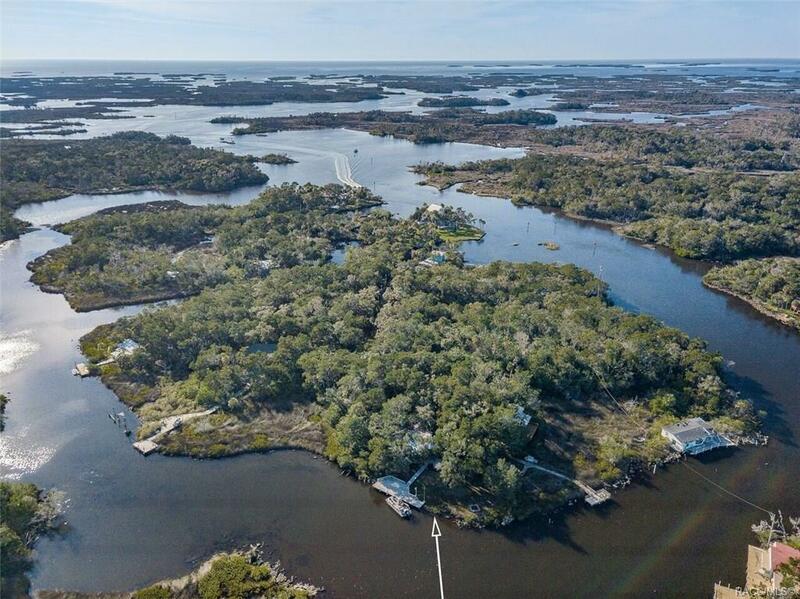 Have you ever dreamed of owning your own Island retreat? 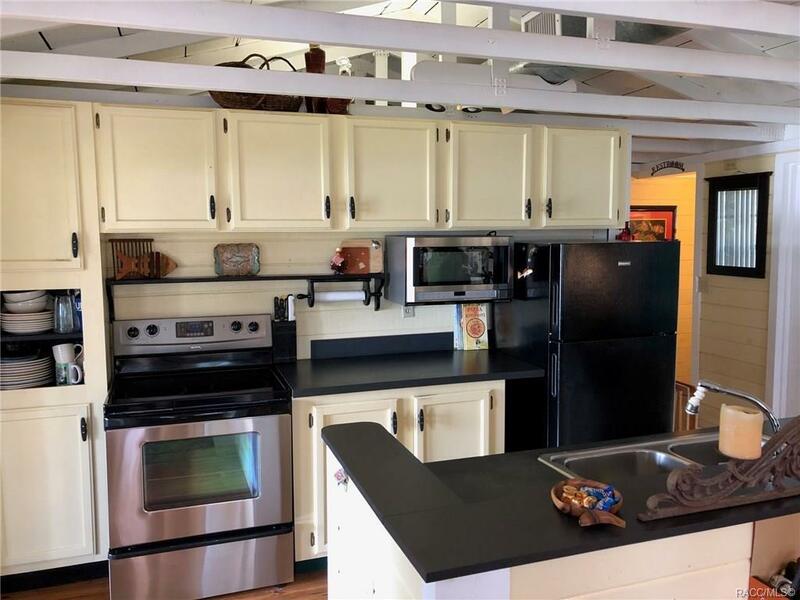 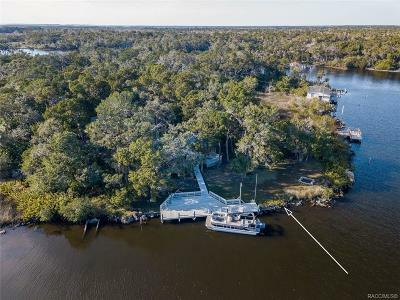 Here's your chance, located on Hellgate Island This incredible property has everything you need for your weekend retreats or possible rental opportunity. 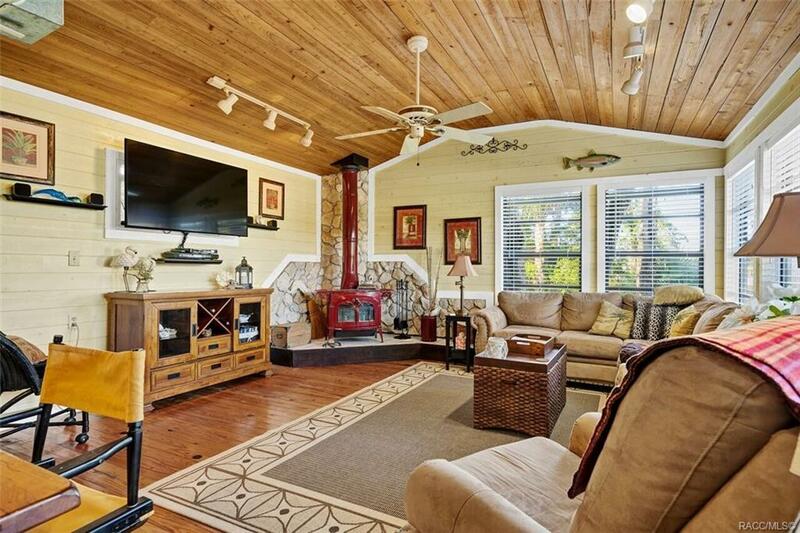 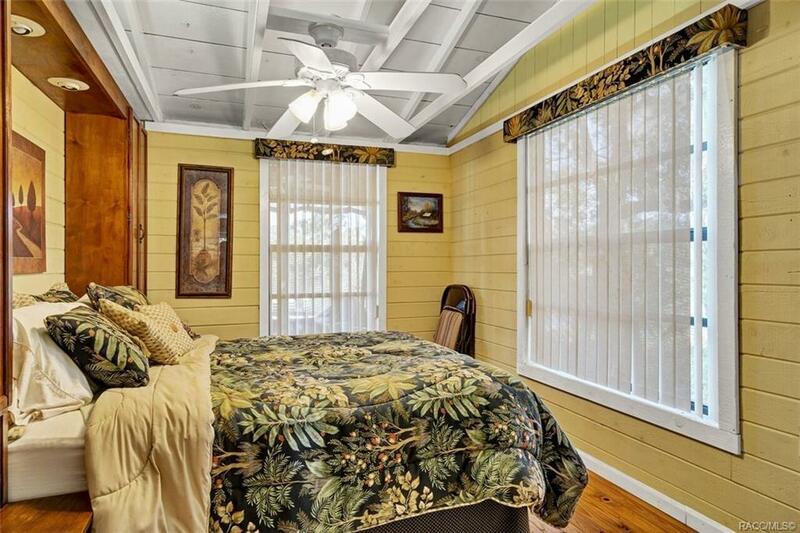 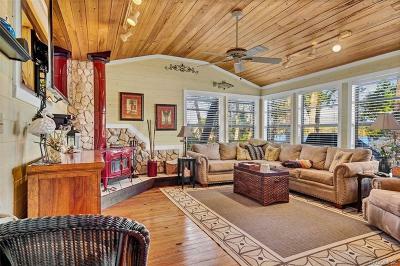 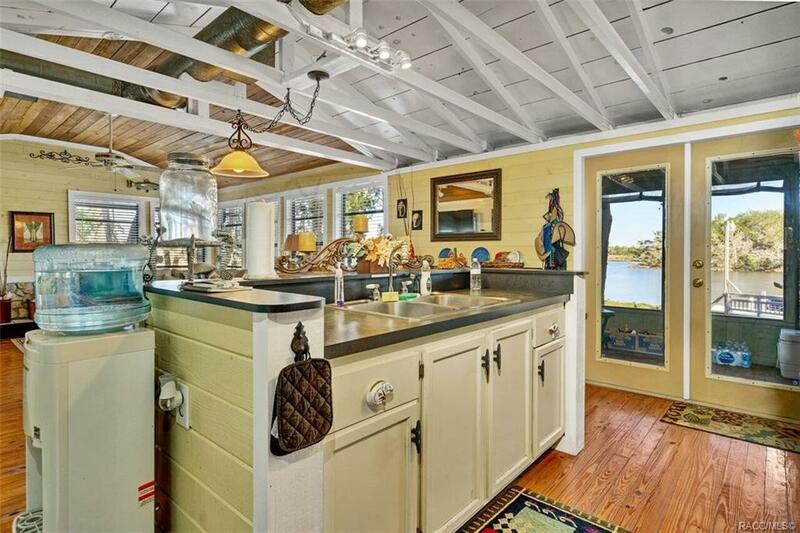 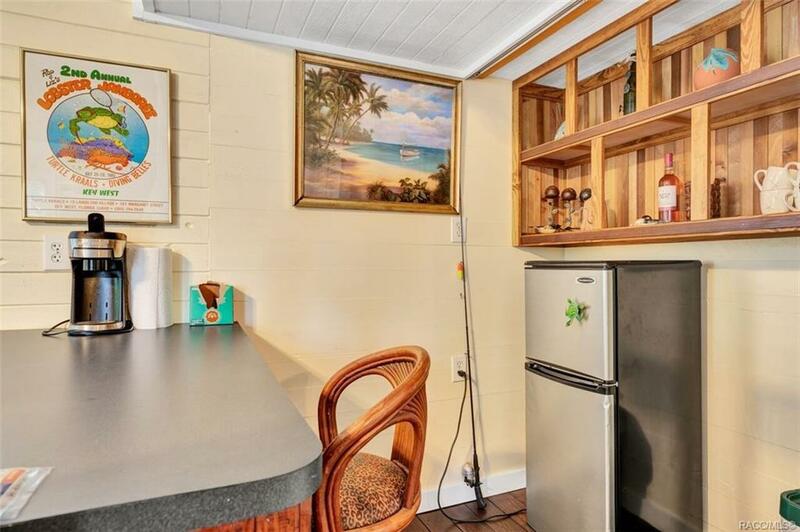 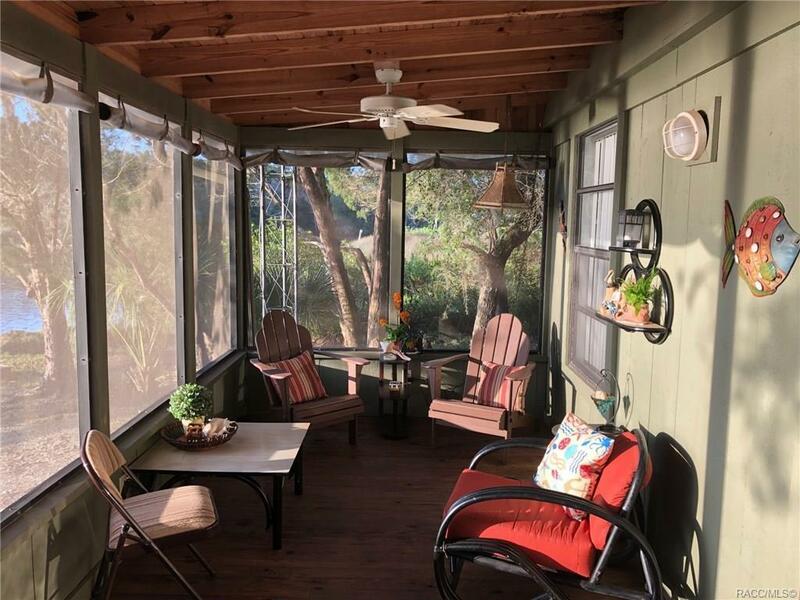 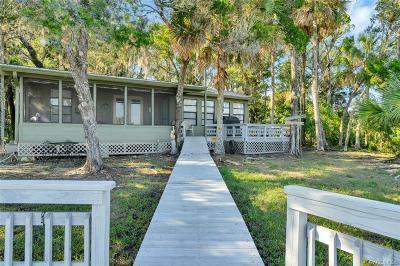 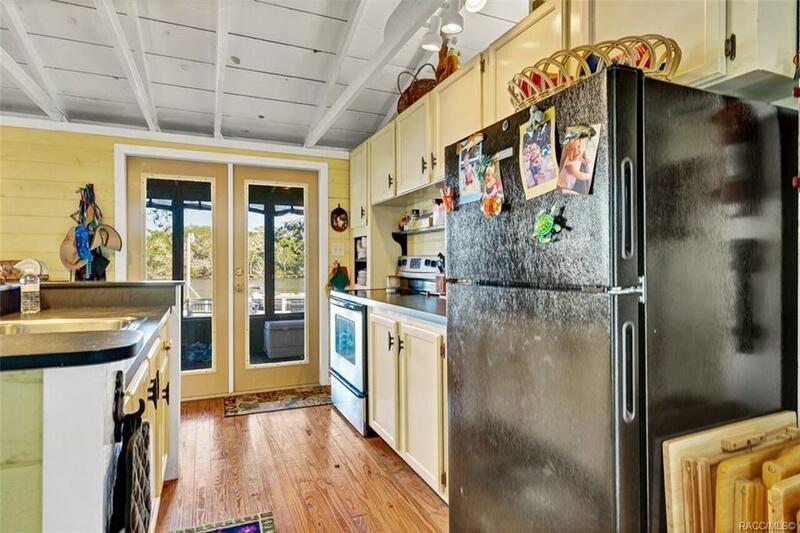 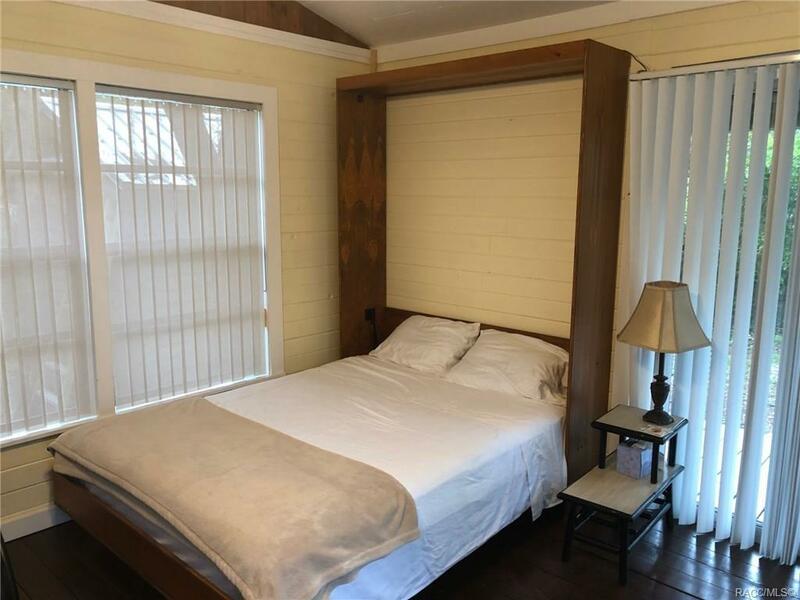 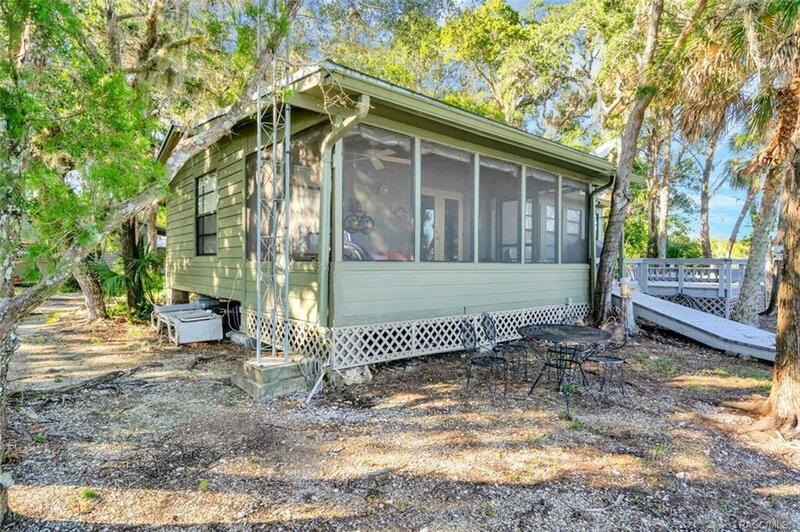 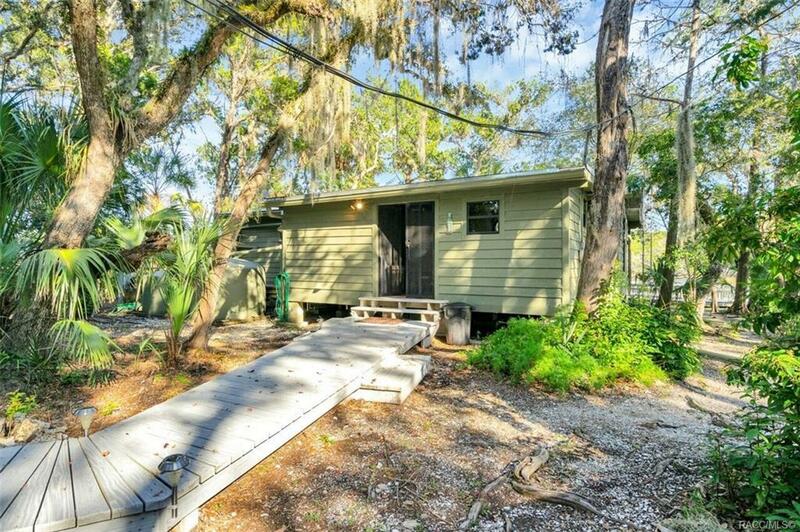 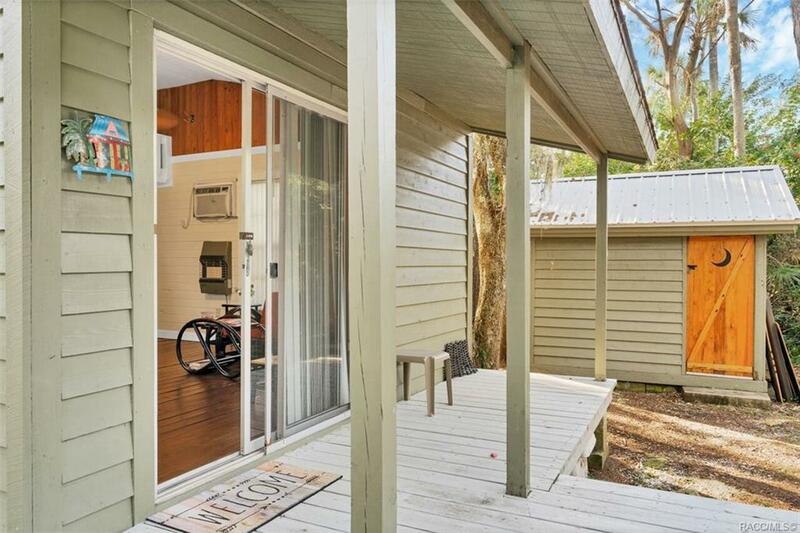 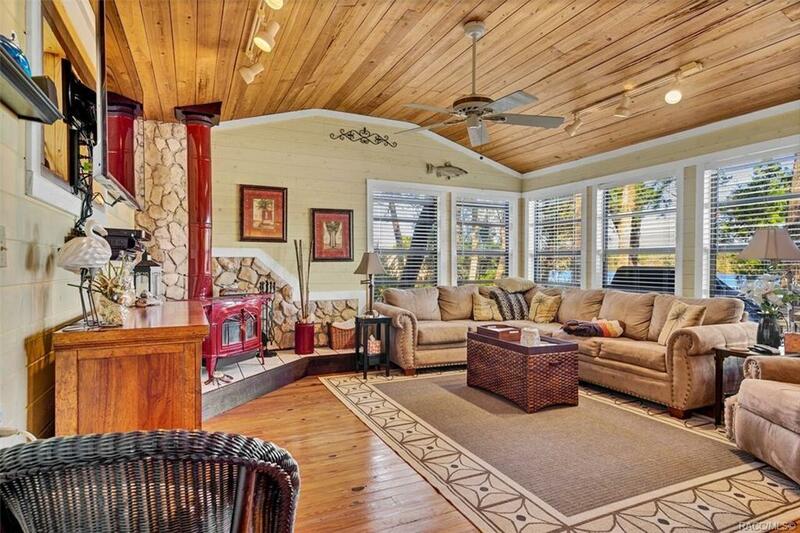 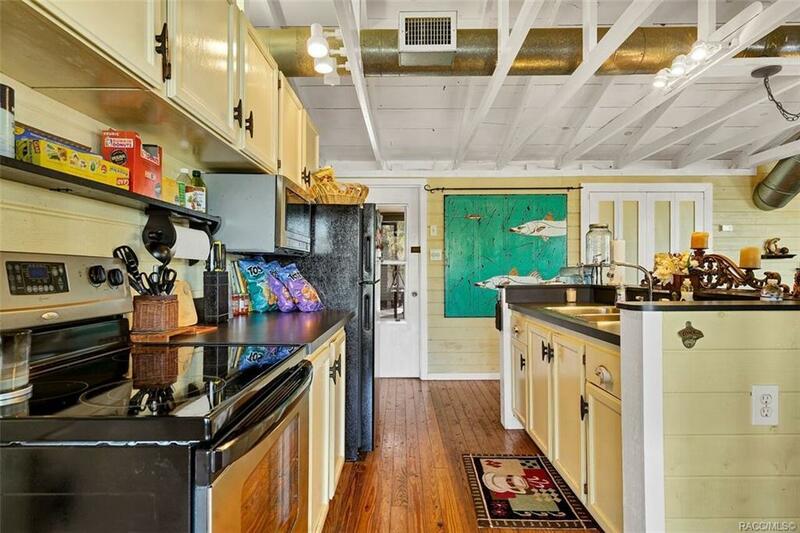 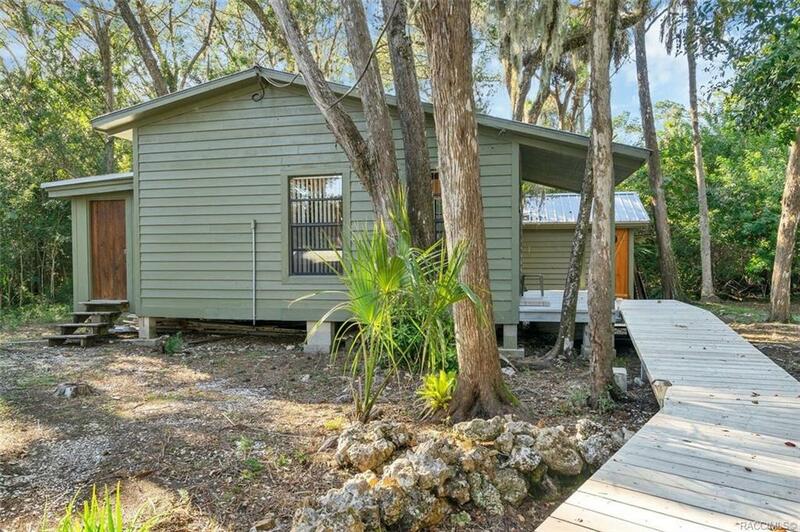 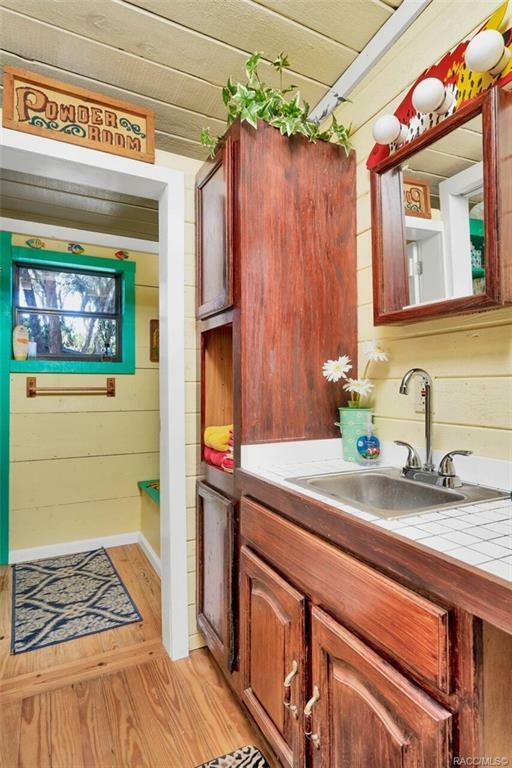 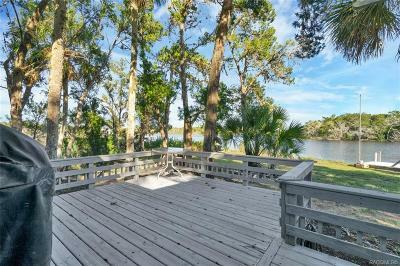 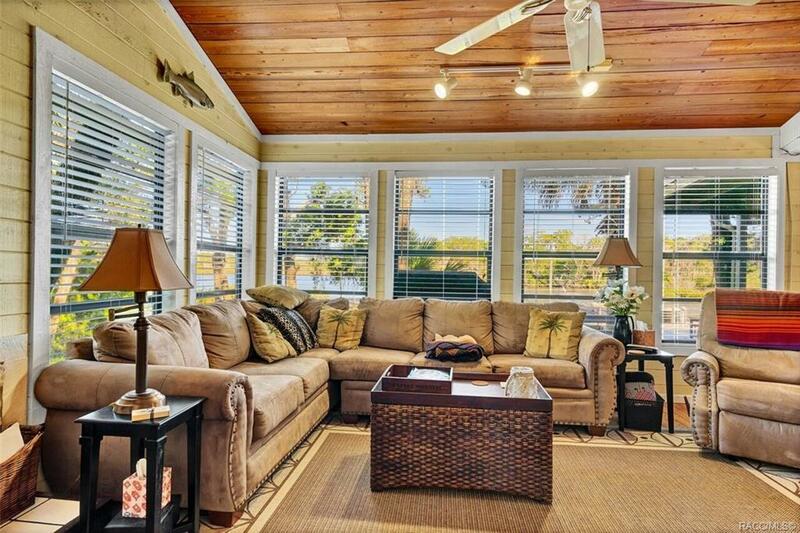 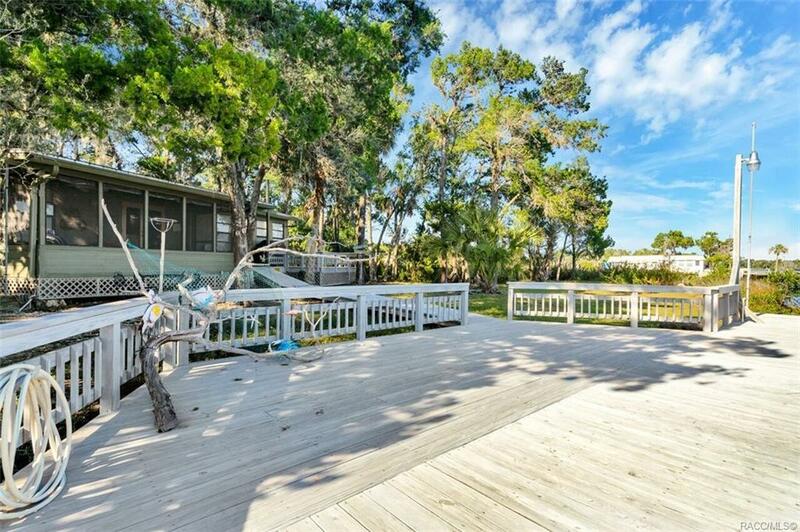 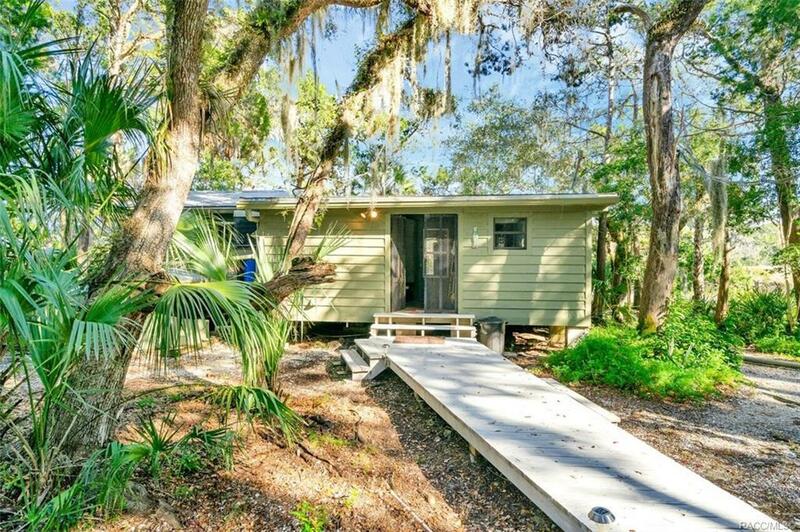 Open water views of the Homosassa River. 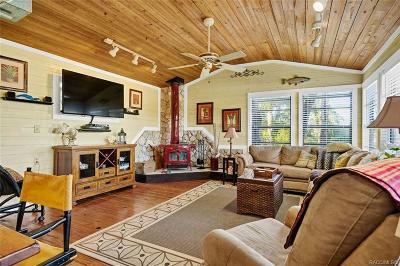 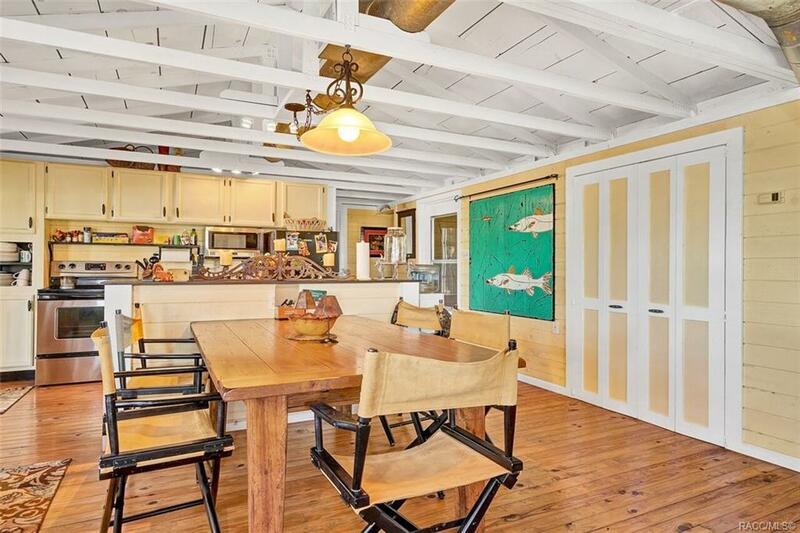 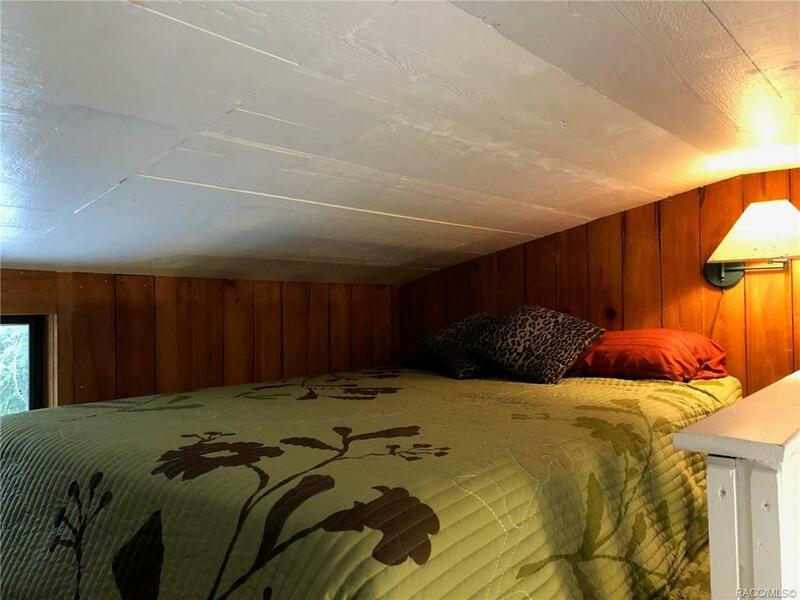 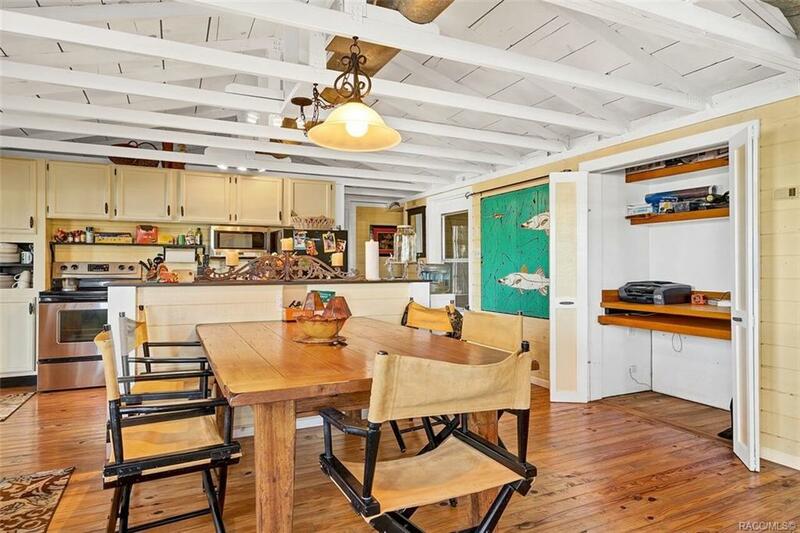 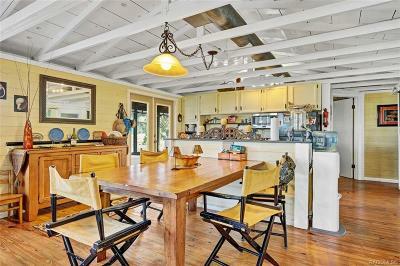 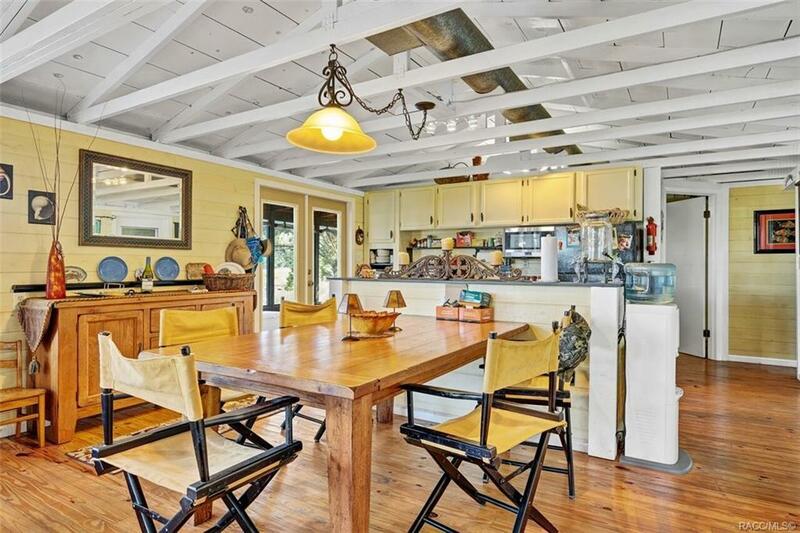 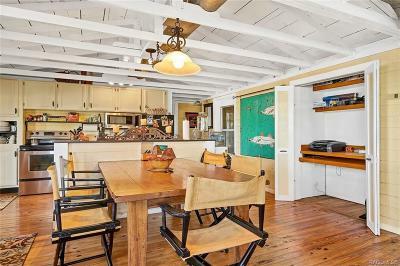 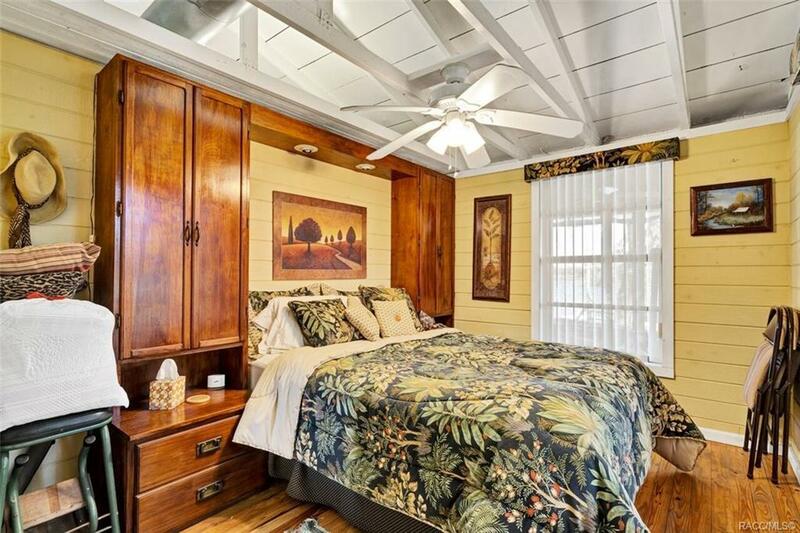 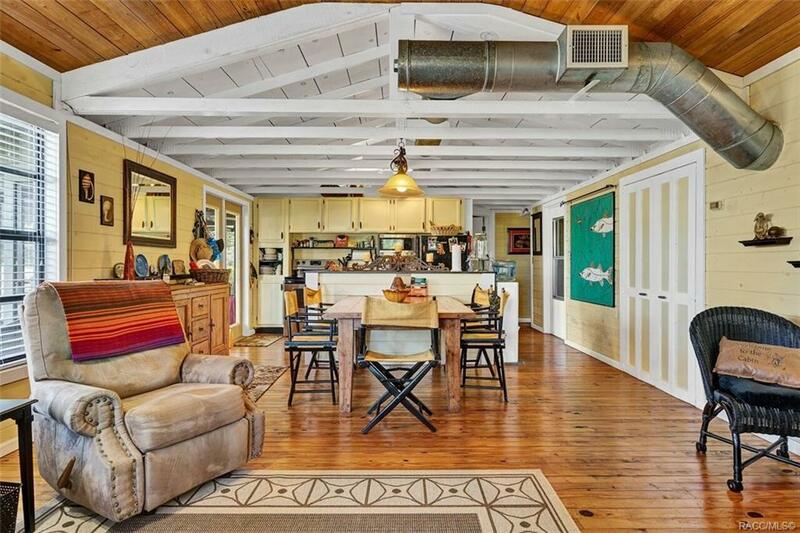 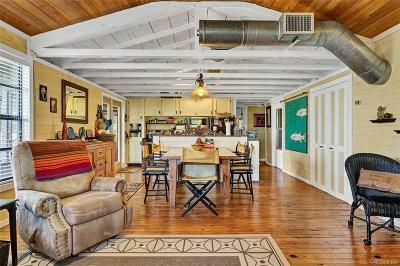 Beautiful heart of pine floors, tongue and groove ceilings, wood burning fireplace, open floorplan. 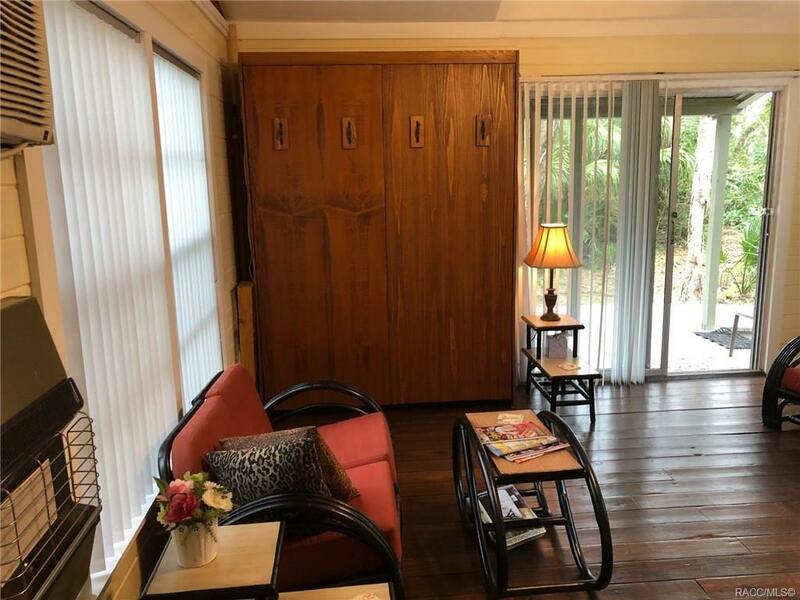 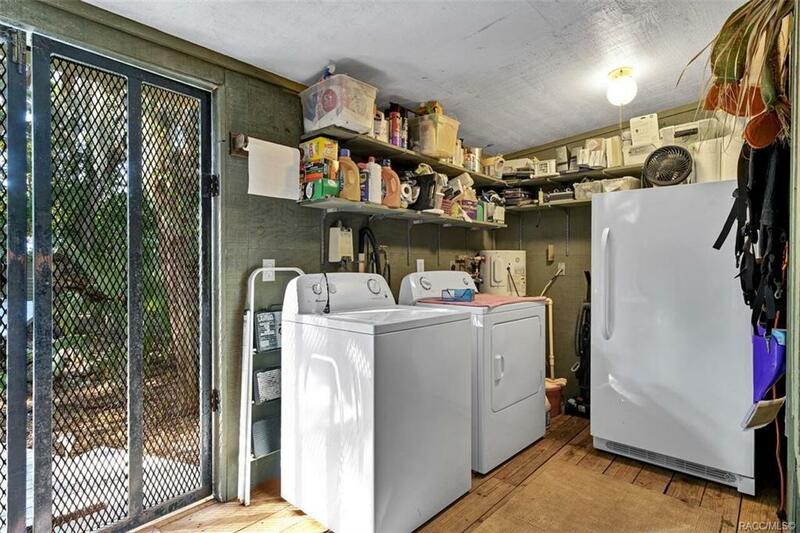 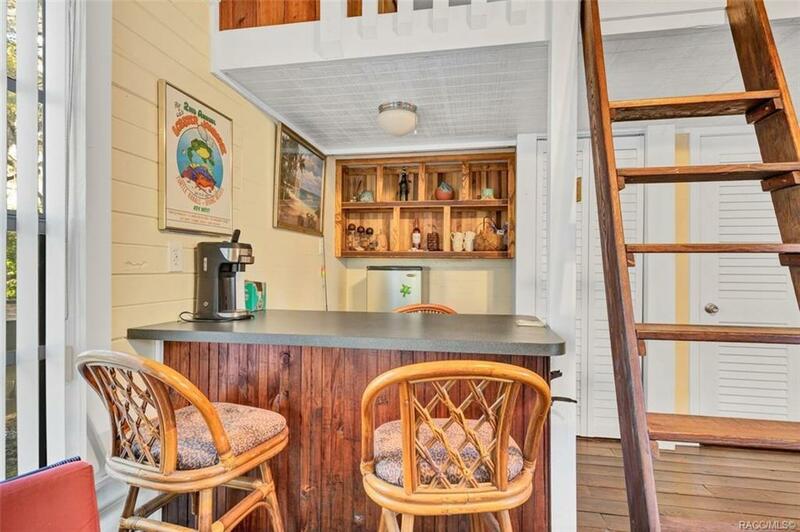 Separate laundry room, huge screen porch and deck on the front of the house. 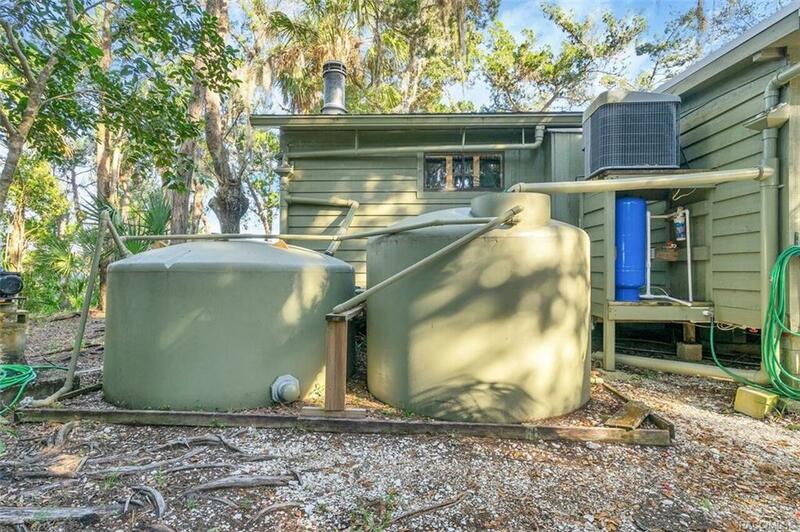 Two 2500 gallon cistern system. 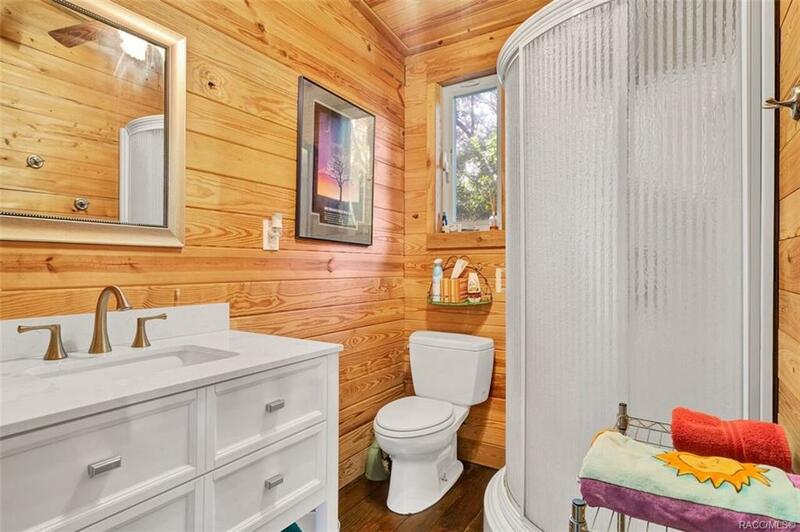 DEP approved septic system, shallow well, new AC. 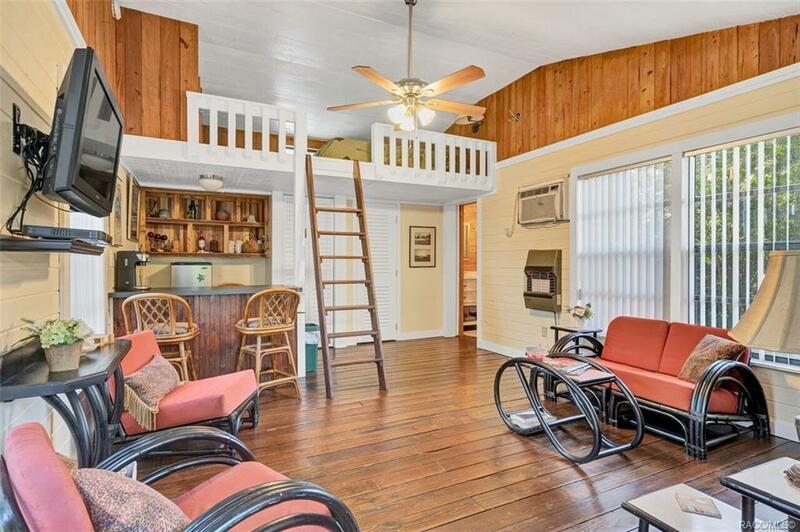 Raised walkway leading back to separate bunk house with loft and breakfast bar. 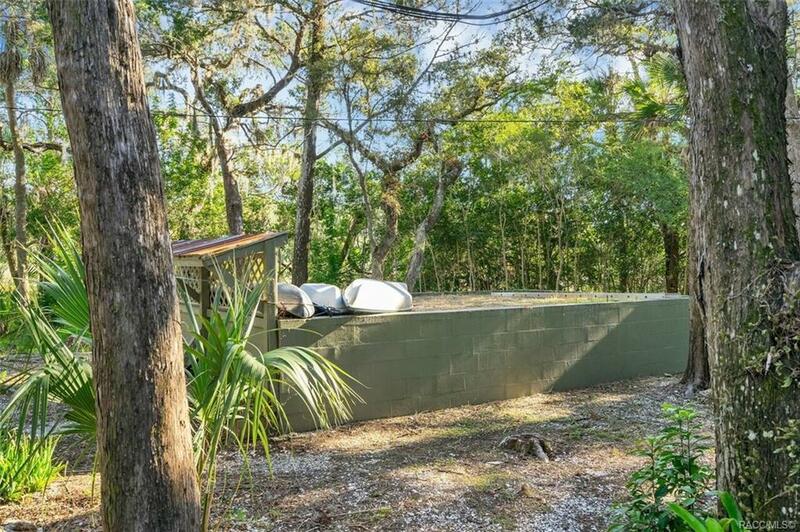 Truly a unique property with endless possibilities.